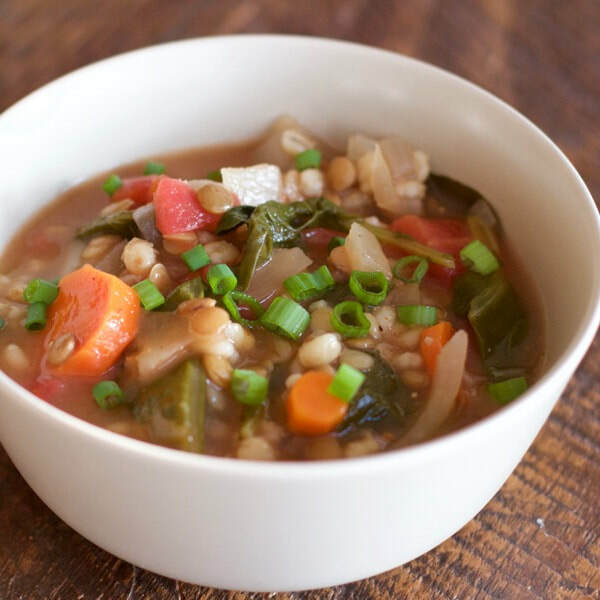 This Lentil Barley Soup is a staff favorite! It has root vegetables, greens, whole grains, and healthy protein. Plus, it's delicious and easy to make. Name a better combo than that! In a colander, rinse barley with cold water. Repeat with lentils. Add carrots, onion, garlic, lentils, barley, diced tomatoes, vegetable broth, and water to a crock pot. Add salt, black pepper, paprika, and cayenne pepper if using. Stir well to mix.